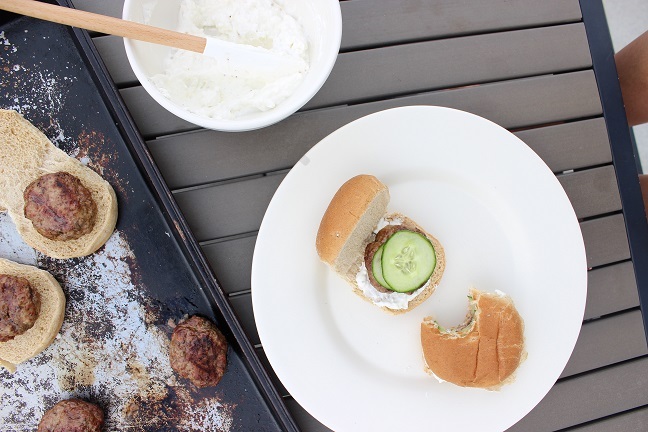 I developed this lamb sliders recipe as part of an ongoing Brand Ambassadorship with Peapod. All opinions are 100% mine. Nothing says summer more than the smell of burgers cooking on a charcoal grill. While the building we live in doesn’t allow charcoal grills on the rooftop, we do have access to a gas grill for quick and easy grilling. 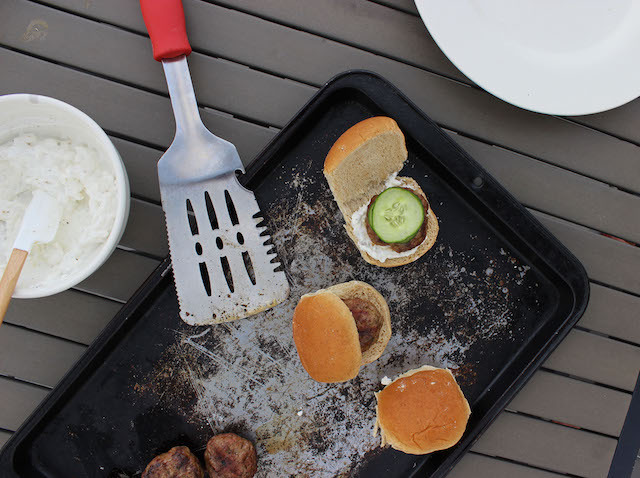 For a novice like myself, this lamb slider recipe could not be easier, and with the patties nice and small it makes cook time a breeze so that you’re not slaving over a hot grill for too long. 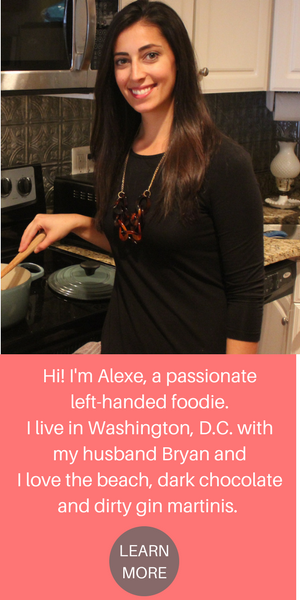 I served these to some friends back in May and they were gobbled up in seconds! 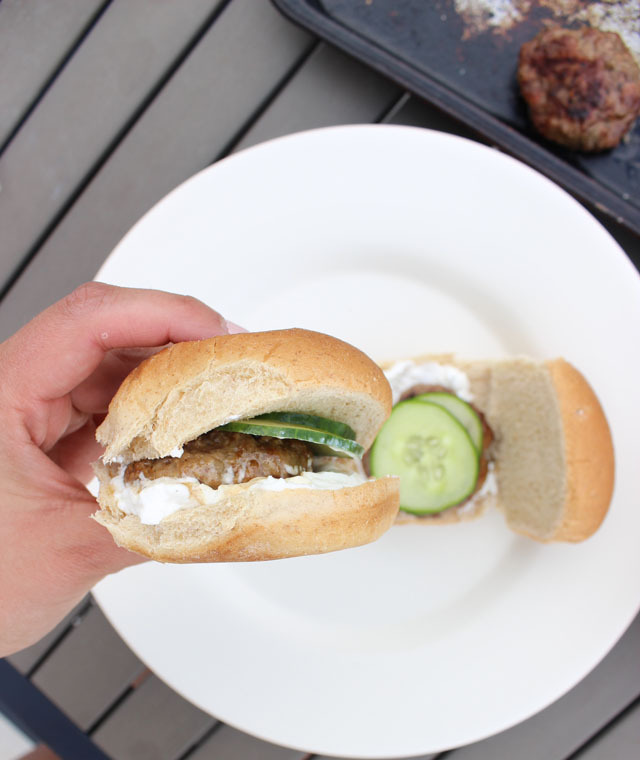 The Greek yogurt helps to cut any richness from the lamb and who doesn’t love crunchy cucumber?! Grab the recipe here and pair with this potato salad or tortellini salad, long live summer y’all!